Spacious modern 1 and 2 bedroom apartments, each with full bath and all appliances, including a dishwasher. 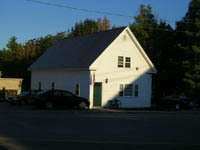 Located in a quiet building overlooking the Contoocook River, every apartment has off-street parking for two cars. One-bedroom apartments include washer/dryer. Efficient to heat. No pets. No smoking. References and security deposit required. Fill out an application now or sign up for our waiting list . We'll let you know as soon as an apartment becomes available. Charming studio apartment and 1-bedroom apartments, each with full bath, in a quiet building within walking distance to Bennington's stores, school, and restaurants. Every apartment has off-street parking for two cars. No pets. No smoking. References and security deposit required. Fill out an application now or sign up for our waiting list. We'll let you know as soon as an apartment becomes available. Spacious 1 and 2 bedroom apartments, each with full bath and all appliances, including a dishwasher. 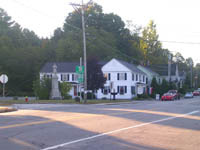 Located right on Bennington’s traditional New England Main Street, the apartments are within walking distance to stores, laundromat, school, and restaurants. Every apartment has off-street parking. Extraordinary, completely renovated, townhouse-style apartments available in the Fall of 2008. Each has a kitchen, dining area, living room, and half bath on the first floor, with 2 bedrooms and full bath on the second floor. 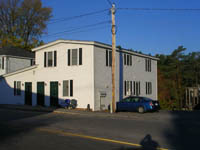 Every apartment has basement access and off-street parking for two cars. You'll enjoy the rural beauty of Bennington and still have easy access to downtown amenities and the Route 202 corridor. 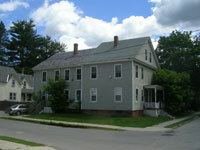 Spacious 2 and 4-bedroom apartments, each with full bath, within walking distance to Keene State College and Keene's thriving downtown. Every apartment has off-street parking (two spaces for the 2-bedroom apartment and four spaces for the 4-bedroom apartment). No pets. No smoking. References and security deposit required. Fill out an application now or sign up for our waiting list . We'll let you know as soon as an apartment becomes available. Or call Mitch Greenwald of Greenwald Realty Associates in Keene (603-357-3035).